According to Brian Cullin, who wrote an opinion piece for the Seattle Times today, the Navy is eventually going to have to figure out how to work with the local citizens instead of rolling over them. He says if it doesn’t, the Navy will inevitably “lose”. Who is this Brian Cullin, and why does he think he knows anything about this subject? He is a retired Navy captain who most recently served as a senior adviser at the State Department. In the ’90s he served as assistant White House press secretary in the Clinton Administration. Here is his letter, below. The original publication with the Seattle Times can be seen here. 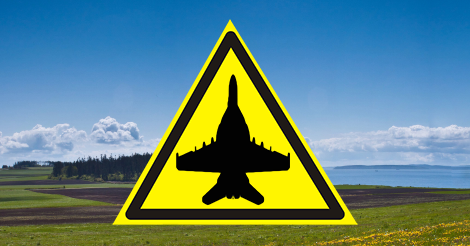 The Navy may prevail in the short-term, but once the increased flights begin, the public and elected officials will feel the real impact of this decision and will move to curb these noisy practice flights. It is the season for arrogance. We have all witnessed this trend at the highest levels of our republic. Whether progressive or conservative, compromise has become a dirty word. Finding common ground is viewed as abandoning principle. Yet, if history serves, either the Navy or our natural treasures and communities, or both, will suffer the fate of the intransigence in the Navy’s decision to dramatically increase its operational tempo of electronic warfare aircraft (EA-18G “Growler”) in our region. Citizens groups have risen up in several impacted areas to defend quality of life, wildlife and regional economies. The Navy has defended its legitimate requirement to do realistic training to maintain its readiness. If the Navy proceeds with its projected plans to increase aircraft operations (adding up to 36 new aircraft to the current 82), our “protected” forests, parks and communities will be seriously violated. Property values will plummet, tourism will wane, and we all will be faced with the very long and acrimonious road of trying to reach a solution in the courts or through legislation. The Navy has finished its Draft Environmental Impact Statement (DEIS); while voluminous, it is also seriously flawed in its consideration of alternative options and in the impact modeling it employed. The Navy has participated in numerous open houses and solicited public comment. It believes it has been a responsible neighbor. This is simply not true. It has performed the public Kabuki required in the EIS process, without any serious intent to arrive at a responsible compromise. The DEIS is written to justify what the Navy believes is its only acceptable choice. I have been involved at seat-of-government levels in past Navy efforts to expand, consolidate, or relocate training. The Navy historically underestimates the impact of its operations on the environment and communities. While the Navy has made great strides in responsible resource stewardship, when it comes to making its case for operational readiness it wears blinders. Case in point was the Navy’s 2004 purchase of land in North Carolina to build an outlying landing field (OLF). 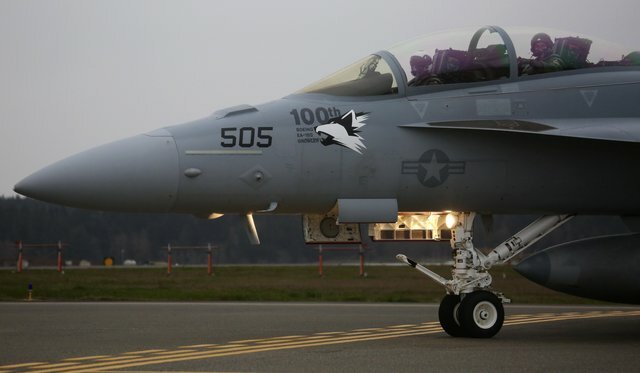 It intended to divert the new Super Hornet F/A 18-E/F aircraft arriving at Naval Air Station Oceana, Virginia, to the new field to address concerns by local residents and authorities over increased flight noise. With some irony, a federal judge halted the Navy’s efforts to build the new field because of the threat posed to migrating snow geese. The Navy withdrew its plans to build the OLF after millions spent. The Navy is once again failing or unwilling to identify the true impact of its operational decisions on Whidbey Island. This issue as it stands now will end up in the courts, or even worse, as a political football. Historically the Navy will lose. It has been in retreat for decades as those areas where it operates become more densely populated. The Navy may prevail in the short-term, but once the increased flights begin, the public and elected officials will feel the real impact of this decision and will move to curb these flights. Individual communities and local area commands cannot do this alone. A successful effort is required now by state and federal authorities to overcome regional player intransigence that goes beyond just taking public positions. They must forge a compromise now so the Navy can train responsibly and surrounding communities and natural treasures are protected. Well written artilcle. Thank you. Now, how to get the Navy to read it!